Most parents, teachers and even kids know how to play the popular game, ‘Hangman’. 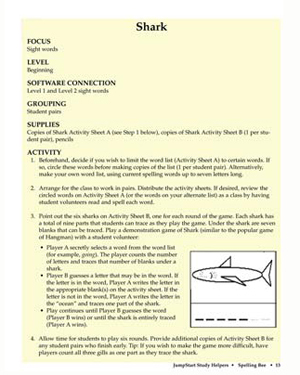 ‘Shark’ is a fun, English activity similar to ‘Hangman’. Free and printable, this English activity for kids is a great way for teachers to engage students and make them more comfortable with the language. It will familiarize the little ones with different words and their spellings. Just read the instructions and get started!